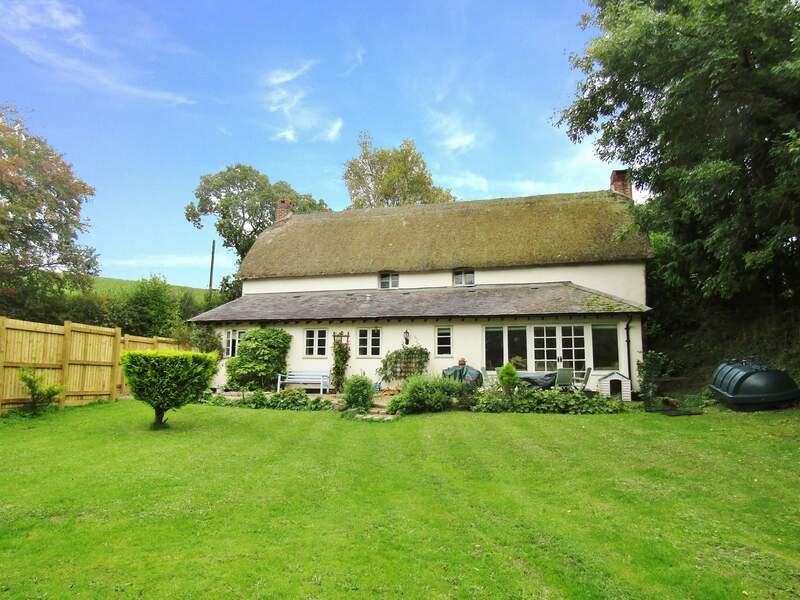 In addition to the rooms mentioned above this beautiful country home comes with a utility room, large kitchen with appliances, a study, a large entrance hall, private gardens and parking. 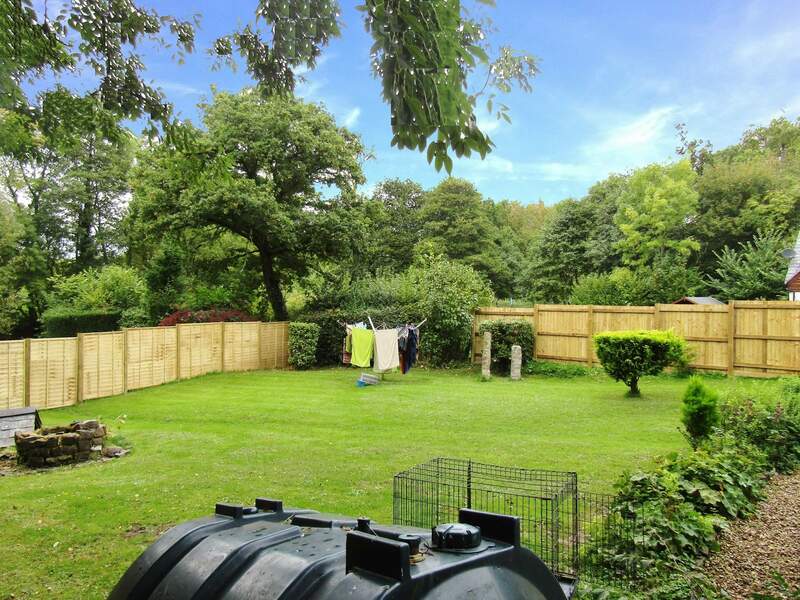 The description of this property may be quite long as there is so much to be mentioned for the next lucky occupant. 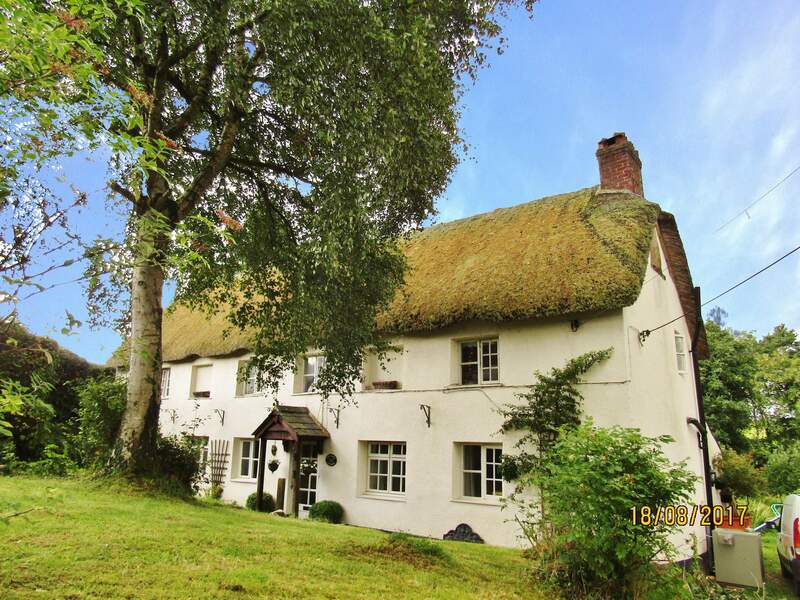 This cottage has a superb history and has also been extended been. 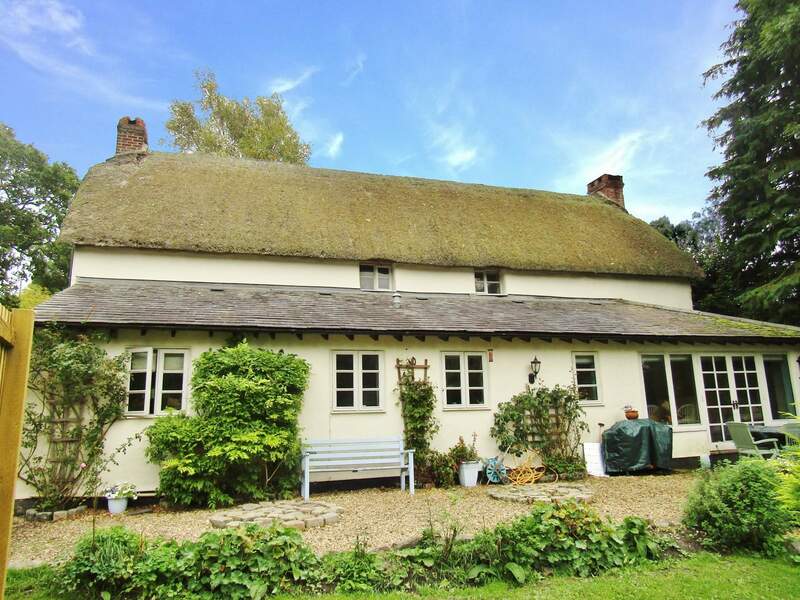 this has been very tastefully done and in most cases it is difficult to determine the 300+ year old original features from the recent additions. From the front door you first enter into a large entrance hallway which is neutrally decorated and laid with a lovely large slate tile floor. Although this floor has been added recently the owners have retained a section of the original cobble stone floor which forms one of many retained historic aspects of this fascination home. The entrance hall leads to 2 large reception rooms, the kitchen diner and the stairs to the first floor. The first reception room which is currently used as a lounge is a large space filled with character from wooden ceiling beams to a beautiful stone fire place complete with a 300 year old bread oven. The room is neutrally decorated and fitted with thick cream carpets and feature lighting. The second reception room is also a large space with yet another large stone fireplace. Similar in size and decor to the lounge this room is capable of taking large free standing furniture and is currently used as a dining room. 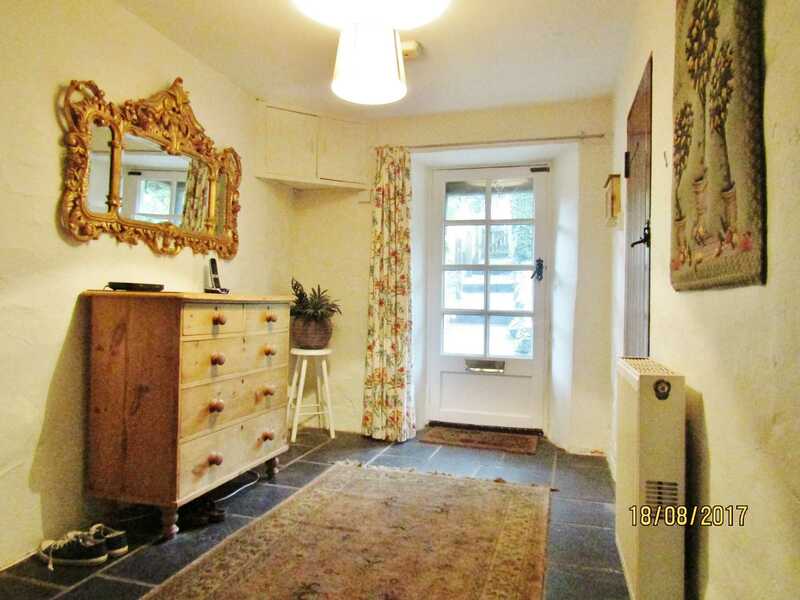 Both reception rooms face over the front of the property through lovely original wood frame windows. The kitchen diner is simply FANTASTIC and forms part of the extension to the original building. 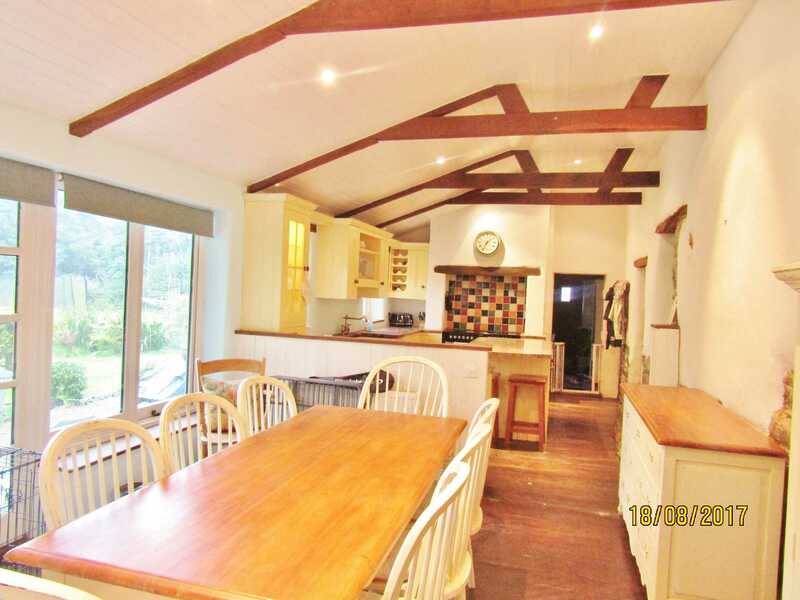 Amazing high vaulted ceilings with oak beams and swathes of windows overlooking the rear garden. 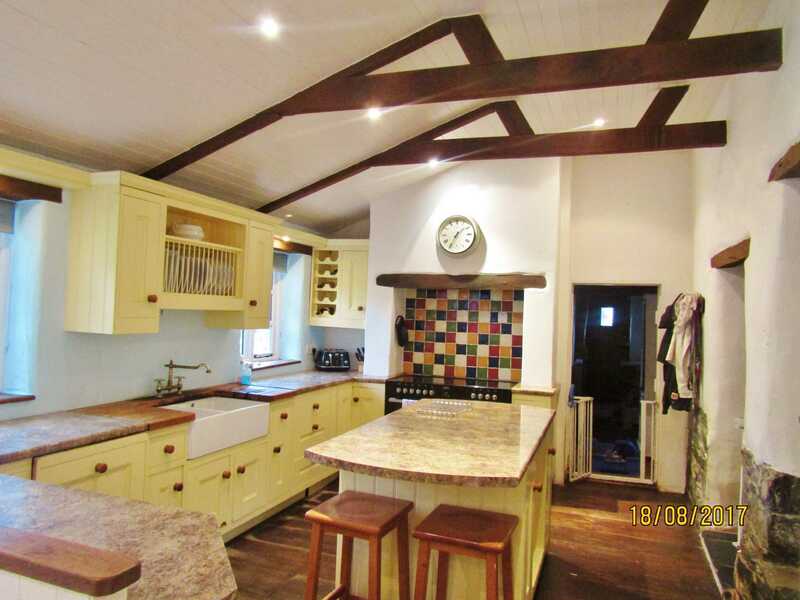 The dining section can house a large table and free standing furniture and is open plan to to a lovely cream country style kitchen - complete with central island, a range style oven and integral appliances. Just beautiful and needs to be seen to be appreciated fully! The kitchen also leads to a utility room which is extremely cleverly put together using the space between the extension and the main house. Access to the utility room is via the original back door and stone steps of the original cottage, once again retaining a fascinating part of the properties history. The utility room houses a washing machine and tumble dryer along with some kitchen units and sink with tap. 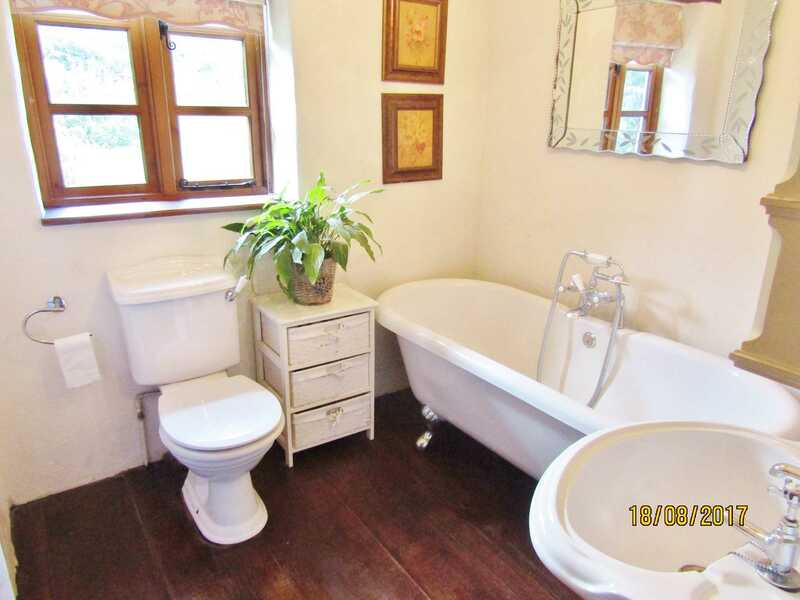 The ground floor also has the first of two full size bathrooms which is filled with character and quality fittings. This bathroom has a lovely free standing roll top bath, W.C. sink and shower cubicle. The decor is neutral with solid wood flooring, vaulted ceilings and chandelier. The ground floor also provides for a study which is a great addition for the requirement of the home office. 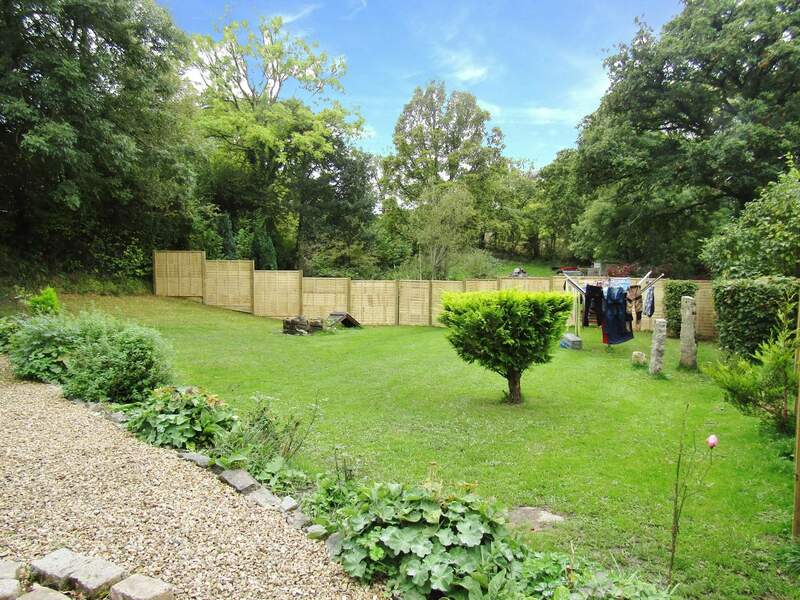 On the first floor you are met with a long landing almost the full length of the property. The landing leads to 4 bedrooms and another full size bathroom. The landing is neutrally decorated, fitted with carpets and also has sections large enough for free standing furniture. 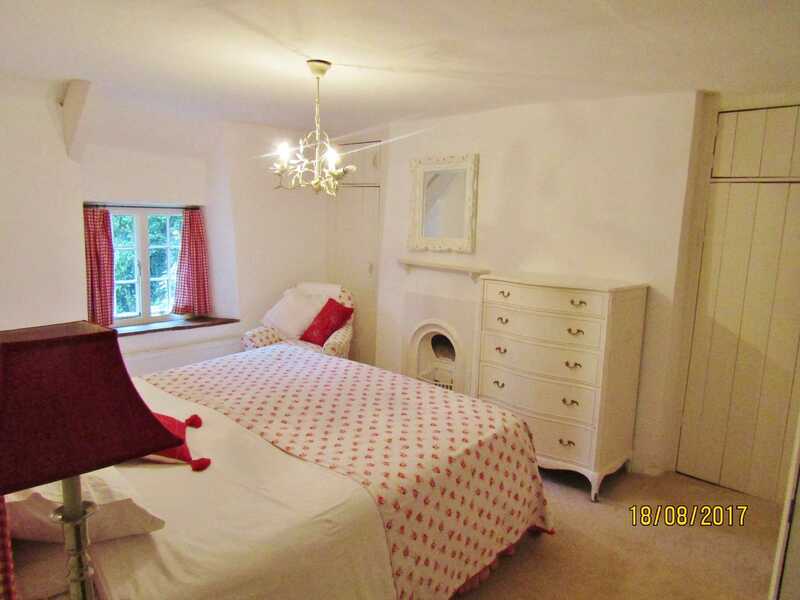 The master bedroom is a lovely space which is painted throughout in white, is fitted with carpet and has built in storage. 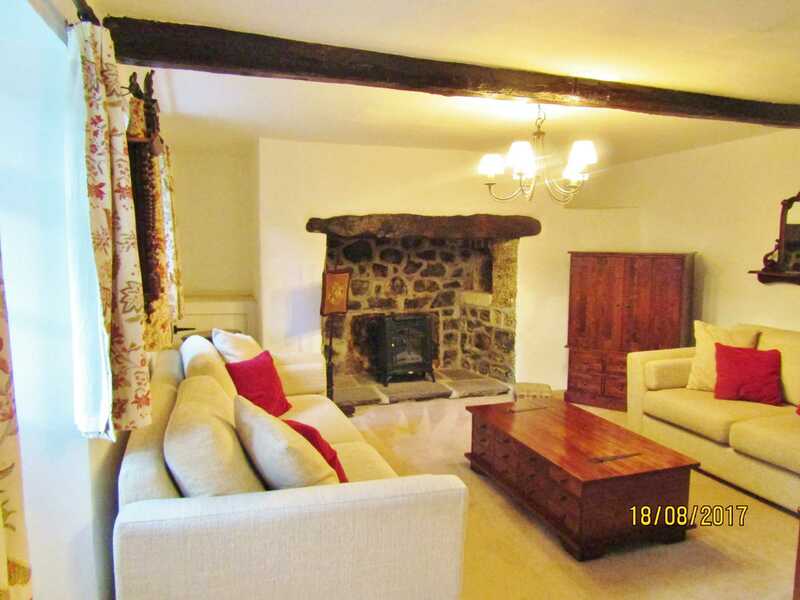 This room overlooks the front of the property and has smart historical features such as the Victorian fireplace. There are 3 further bedrooms all of a good size and each occupying a position overlooking the front of the property and each with its own features, The second of two full size bathrooms is located on the first floor and is once again filled with quality fittings including a lovely free standing 'slipper' bath, W.C and sink. 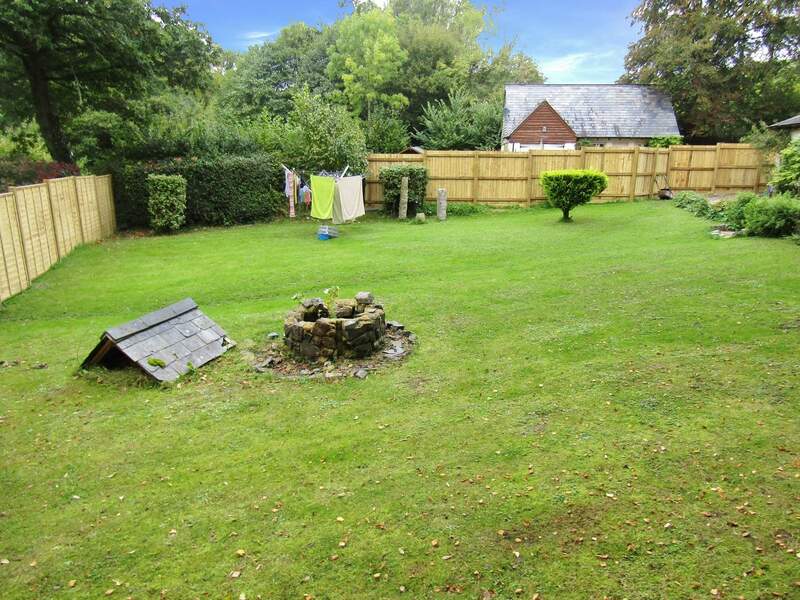 A home like this is very rare to the rental market and is situated only a short travelling distance to Exeter - The property has Oil fired central heating, private gardens and off road parking. The landlord is also willing to consider tenants with pets.